Add the onion and cook until lighly browned, about 10 minutes. Work the tomato paste into the onions. 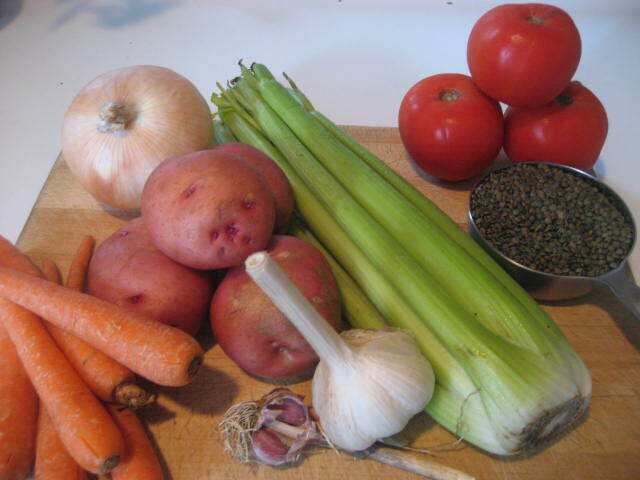 Add the garlic, carrots, celery, parsley, salt, red pepper, and bay leaves. Cook for about 5 minutes, stirring occasionally. Add the chopped tomatoes and cook for another 10 minutes, stirring occasionally. 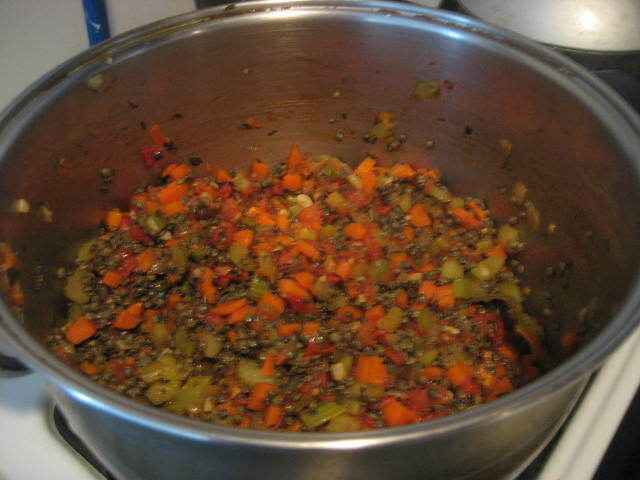 Add the lentils and vegetable broth. Turn up the heat and bring the soup to a boil. Then, lower the heat, cover partially, and simmer for 15 minutes, stirring occassionally. Add the potatoes and cook for another 15 minutes or until the the lentils are done. Stir in the vinegar and mustard. Taste and adjust seasoning. Let the soup sit for a while for the best flavor. 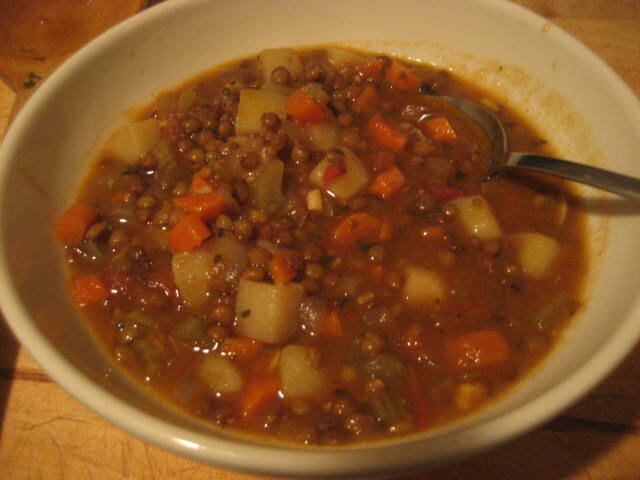 This entry was posted in gluten free, soups, vegan and tagged soup. Bookmark the permalink.